People who handle or encounter hazardous chemicals at work need to familiarise themselves with the associated dangers and precautionary measures to avert and avoid such harm to themselves, others, and the environment. The fact is hazardous chemicals aren’t given their name because they are made up of pleasant matter and pot purée; all signs, including the name, point to the contrary. They are dangerous materials that have the potential to cause serious and fatal injuries if not approached with caution and treated with care. 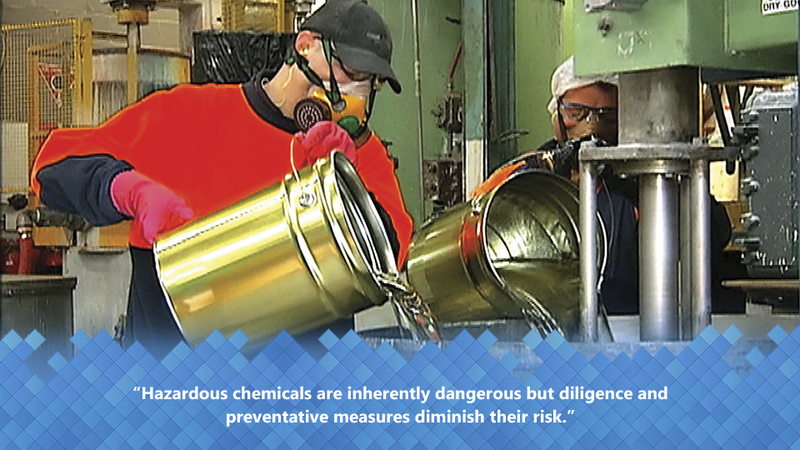 Always be vigilant and heed the warnings presented when handling, transporting and dealing with hazardous chemicals. Working with hazardous chemicals is not an area that you want to take shortcuts in, or approach with ignorance; if you go in without the knowhow, or at the very least, the right attitude, you may well emerge without skin or eyes or something, you get the idea. Developed by the United Nations in recent years, the Globally Harmonised System of Classification and Labelling of Chemicals, or GHS, is a single internationally agreed upon system of chemical classification and hazard communication through labelling and Safety Data Sheets (SDS), providing a framework for the standardisation of classifying and communicating chemical hazards. This harmonised system is designed to aid in the elimination of workplace, regional, and even continental confusion by basically ensuring that everyone is reading off the same page from the same map. If what defines a hazardous chemical is still a description that baffles, it’s basically any substances, mixtures, particles, chemicals, vapours, dusts, fibres, fumes, solids, liquids or gases that have the potential to affect human or environmental health in a harmful way. While most exposure is caused via inhalation and internal absorption through the lungs, ingestion and skin absorption are also possibilities, so don’t go scrubbing down with any substance at work that is stamped with skull and crossbones because you will either become a pirate or gravely under the weather; money on the latter. Exposure to hazardous chemicals can cause both immediate health issues like poisoning, skin, muscle, eye and other irritations, chemical burns and sensitisation; as well as long term ailments like various cancers, birth defects and a wide and nasty array of failures and diseases to an equally vast selection of organs like the skin, lungs, liver, kidneys and nervous system. All businesses must aim to eliminate where possible - or minimise where not - the risk of exposure to hazardous chemicals for workers. If you are operating a business or working for one that deals with hazardous chemicals, be sure to implement all necessary safeguards and measures to protect yourself or your workers from harm. Do your research, it may be something as simple as providing the correct personal protective equipment or extra and ample exhaust ventilation of varying forms. Also become familiar with workplace exposure standards, as they are a vital tool when it comes to assessing the potential risks involved in the handling and day to day operation of tasks involving hazardous materials. While extremely important, it’s pretty basic stuff – accidents can happen in the blink of an eye but most if not all are preventable; hazardous chemicals are inherently dangerous but diligence and preventative measures diminish their risk. It’s all doable, all manageable. Everyday substances like bleach and drain cleaners are branded with do not drink warnings that imply that at some point the accompanying peril of their consumption wasn’t a given. Equally staggering is that best estimates suggest that somewhere in the vicinity of a quarter of all employees around the globe are in habitual contact with hazardous chemicals in their workplace. Always read the labels and use only as directed. Your best bet; if in doubt, do not drink.